THIS IS A BEAUTIFUL AND VERY AFFORDABLE WATERFRONT BUILDING LOT. HERE'S A GREAT OPPORTUNITY TO LIVE ON WHITE LAKE AND SAVE THOUSANDS. 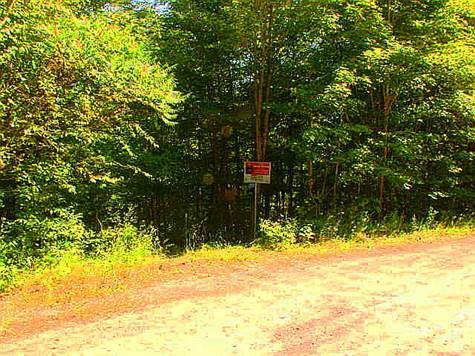 THE PROPERTY IS PARTIALLY CLEARED WITH GOOD SIZED AREA TO BUILD YOUR DREAM HOME OR COTTAGE. DRIVEWAY IS IN AND HYDRO IS NEAR THE LOT LINE. GORGEOUS VIEW OVER RAYCROFT CREEK WHICH IS NAVIGABLE BY A SHORT BOAT RIDE TO REACH WHITE LAKE. PUBLIC BOAT LAUNCH IS ACROSS THE ROAD. LOCATED ON A YEAR ROUND TOWNSHIP MAINTAINED ROAD WITH SCHOOL BUS SERVICE. THIS IS A GREAT AREA THAT IS CLOSE TO NATURE. OUTDOOR RECREATION ABOUNDS. LOVE THE GREAT OUTDOORS? IT'S ALL HERE WAITING FOR YOU TO ENJOY! IT'S AN EASY 1 HOUR TO OTTAWA AND 45 MINUTES TO KANATA.